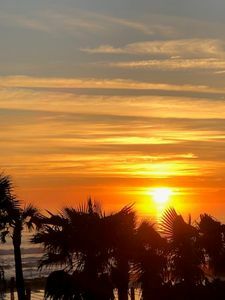 Comfortable two bedroom and two bathroom second floor condo features all of the luxuries of a high end resort with the added bonus of a beautiful ocean view! Enjoy entertaining in the bright kitchen and dining room seating for six. 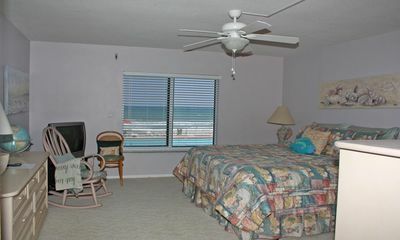 Relax in comfort from the living room while listening to the ocean waves caressing the shore. 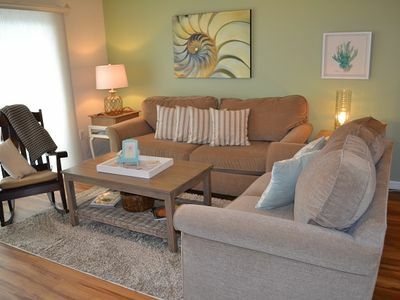 You don't want to miss this ground floor 2 bedroom, 2 bath condo that sleeps 4. Fantastic views from this beautifully remodeled spacious condo. 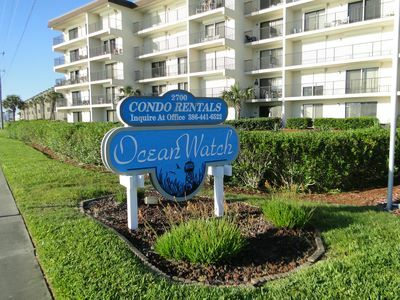 Enjoy this stylishly decorated direct ocean front unit with all the luxuries of home and more! The light bright kitchen offers spacious countertops, which is great for both entertaining and dining. There are flat screen TVs throughout the home. You'll discover a comfortable King size bed in the Master. An shower/tub and private toilet, awaits you in the master bathroom. The second bedroom has a two another comfortable King bed. 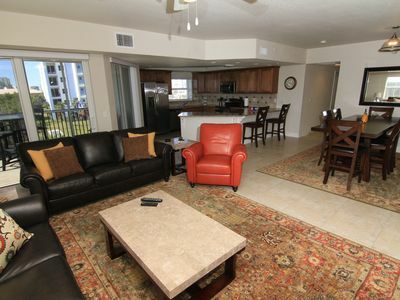 Both bedrooms have TVs with spacious closets as well as full washer/dryer in all of the luxury condos. 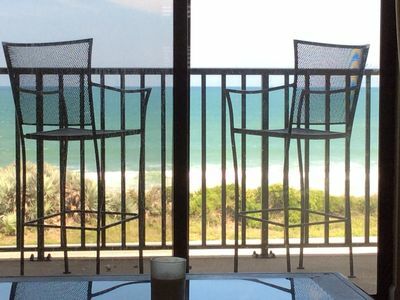 Off the Living Room there are sliding glass doors that open to a large balcony with an unbeatable view of the Sandpiper pools and the ocean. 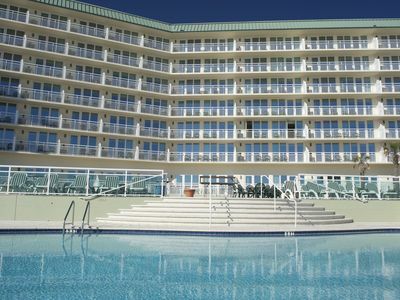 One of the Sandpiper's two adult size pools is heated starting mid-November through April at a comfortable 85 degrees. We offer water aerobics classes during the months of January, February and March. 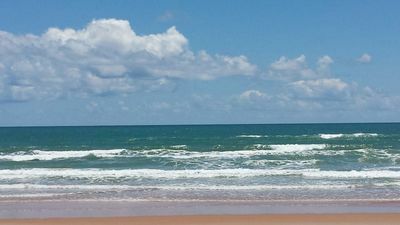 Sandpiper Luxury Oceanfront Condominiums is located directly on the no-drive- beach in beautiful New Smyrna Beach. Have peace of mind while your children explore the beach and wade in the knee high water .Enjoy various outdoor activities at our resort, such as Surf fishing, paddle boarding, surfing and long leisurely walks on our pristine beach. . Every one of the 84 condos boasts direct oceanfront locations and offers guest outstanding views and superior amenities. Leave your hectic life behind, and stay for a week, month, season or a lifetime! The units here are all either 3 bedroom/3 bath or 2 bedroom/2 bath condos with modern, fully equipped kitchens and bathrooms. 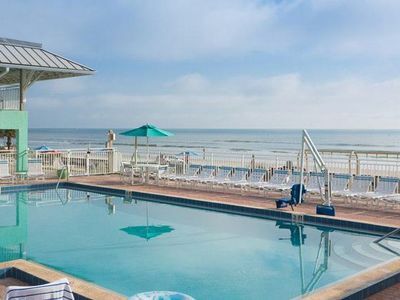 Built in 1973 with an extensive renovation in 2003, Sandpiper offers guest the ultimate in oceanfront living. 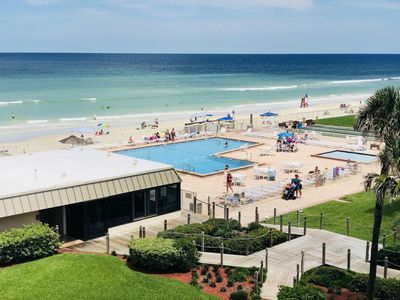 Sandpiper oceanfront deck has two adult pools, two kiddie pools, oceanfront putting green, tennis and shuffle board court. FREE wireless internet, standard cable and a community room for gatherings and parties. Every unit has spacious balconies with fabulous views. 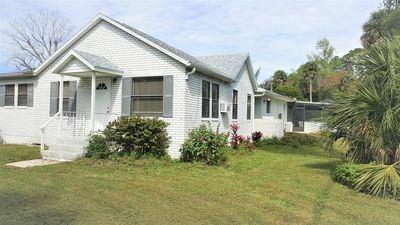 Comfortable two bedroom two bath centrally located. No elevator required. Great location to watch over the kids at the pool. 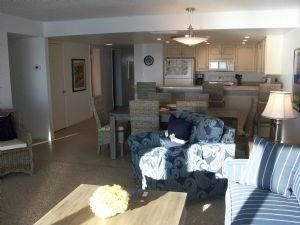 Enjoy the cool ocean breeze from your private patio in this three bedroom three bath second floor condo. Perfect location to keep an eye on the activity at the pools. Beautifully remodeled second floor three bedroom three bath. Conveniently, overlooking the south pool. Enjoy entertaining in the spacious eat in kitchem and dining room seating for six. 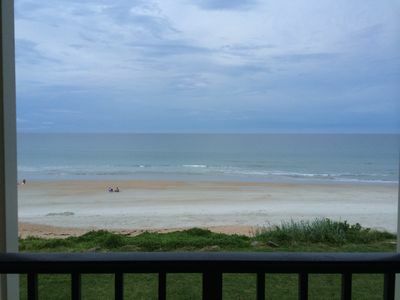 Relax in comfort from the living room while listening to the ocean waves caressing the shore. 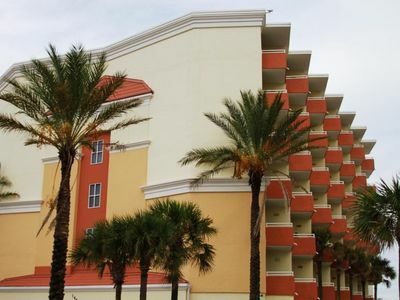 Sandpiper Condominium is located on the NON-DRIVING BEACH. No worries with the kids exploring the beach and wading in the knee high water. 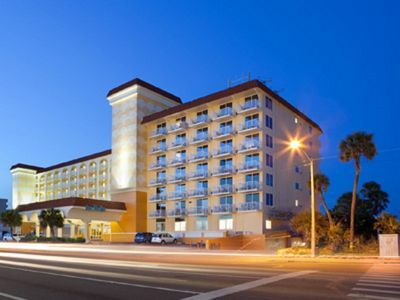 Enjoy loads of out door activities, on our oceanfront putting green, shuffle board court and tennis court. 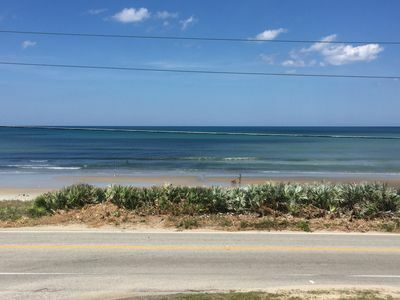 Surf fishing, paddleboarding and long leisurely walks on our prestine beachs. 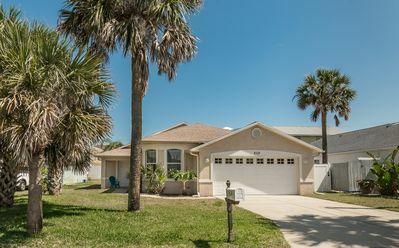 Your dream vacation awaits you in New Smyrna Beach! 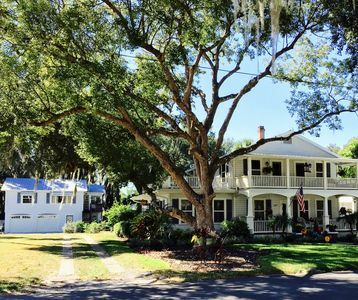 CHARMING HISTORIC CARRIAGE HOUSE - Pool, Walk to Canal St. & Close to Beach! New Low Pricing! 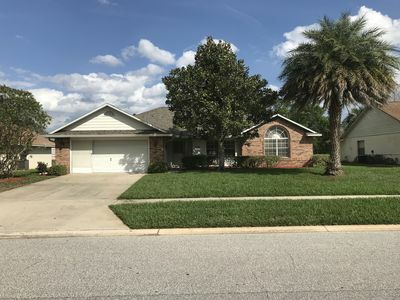 3/2, Budget & Family Friendly! Many Resort Amenities! PARADISE FOUND! 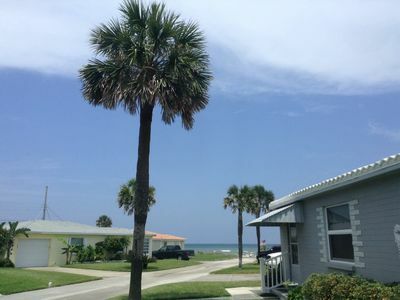 Gorgeous oceanside condo in family friendly beach town!